We are looking for 10 participants to join an exciting Beginner Bookbinding Workshop. 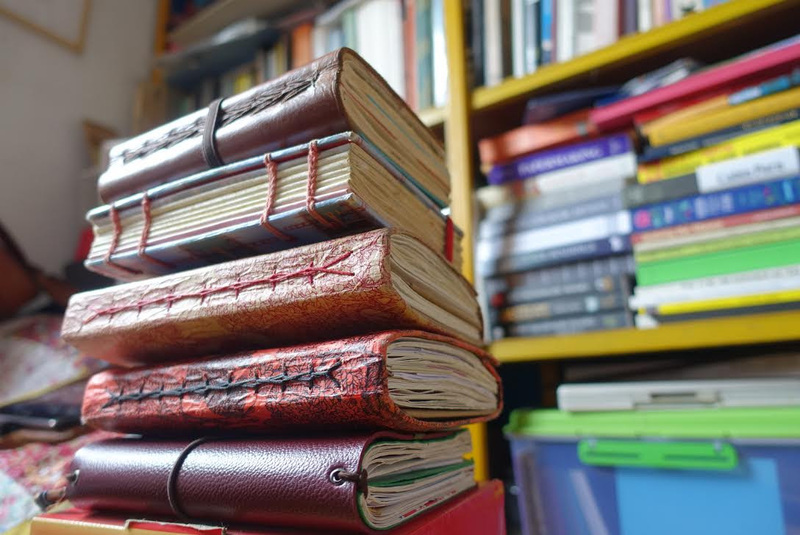 In this workshop, Tarlen Handayani, a bookbinder, craftsperson and entrepreneur from Indonesia, will teach a small group of anthropologists and others how to make personal field notebooks with simple techniques of bookbinding. The workshop will be held in the Ethnography Lab, room 330, Department of Anthropology, 19 Russell St. on Monday, June 4th, from 2-4 pm. thread, an awl, a bonefolder, card stock, tick paper, and cartoon paper for book covers. Participant are welcome to bring extra papers if they want to further personalize their field notebooks. If you want to register for this event, please send a message with your full name and phone number to ethnography.lab@utoronto.ca as soon as possible. We can only accept the FIRST 10 PEOPLE who respond by email, and we ask that everyone who registers for this event, indeed shows up, as we will be buying the materials in advance. Please come with $20 cash for the workshop materials. Tarlen Handayani is a Bandung (Indonesia) based bookbinder and community organizer. She is the founder of Tobucil & Klabs, an alternative space which has been supporting craftivism and literacy in everyday life since 2001. In 2008, She got a grant from Asian Cultural Council (ACC) to conduct observation for audience development for arts community in New York City, a summer intern in Adult Program at the Brooklyn Museum. She also studied book bindings at Etsy Lab in Brooklyn, USA . After that class, Tarlen fell in love with bookbinding and decided to deepen her skill and also founded the label ‘@vitarlenology‘ for her handmade notebook business. Since February 2018, She is as a member of Canadian Bookbinder and Book Artist Guild (CBBAG).